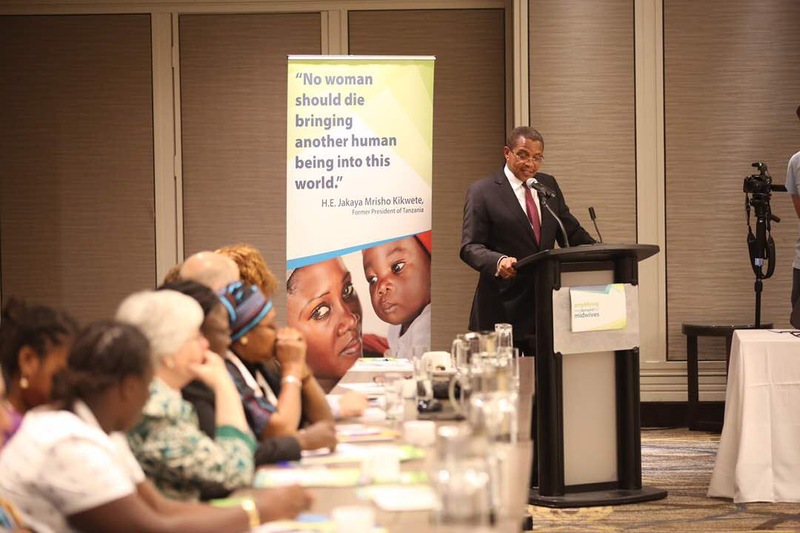 The International Confederation of Midwives (ICM), former Tanzanian President, Dr Jakaya Mrisho Kikwete and Wife of the Nigeria’s Senate President, Mrs Toyin Saraki, have united health leaders at a high-level health forum to address the global state of midwifery. A statement issued by the ICM, stated that skilled and educated midwives can provide 87 per cent of essential healthcare needed during pregnancy and following birth – even in low resource settings. It is estimated that through their intervention, 56 per cent of maternal, fetal, and newborn deaths could be prevented – a million lives each year. However, urgent global policy reform and recognition of the profession by governments and donors is needed to help midwives achieve this. The high-level forum brought together government representatives, heads of agencies and global advocates to identify ways to address the global state of midwifery. The forum was hosted by the International Confederation of Midwives as part of their 31st Triennial Congress, a flagship event for midwives taking place in Toronto, Canada this week. It was convened by Mrs. Toyin Saraki, Goodwill Ambassador for the ICM and Founder of the Wellbeing Foundation Africa. 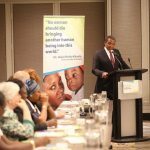 The first African leader to answer the forum’s call to action was Dr Jakaya Mrisho Kikwete, former President of Tanzania and global health advocate. Mrs. Toyin Saraki, ICM Goodwill Ambassador and Head of the Wellbeing Foundation Africa, said “the impact of skilled and educated midwifery is all around. “Still, the global shortage of midwives amounts to 350,000 and the gap between those who have access to the life-saving care midwives provide and those who do not is enormous. In her closing remarks, CEO of the ICM, Mrs. Sally Pairman said the organization represents more than 500,000 midwives in 113 countries. African leaders unite with 4, 200 Midwives to save one million lives who wake up every day and perform their life-saving role with so much dedication and passion despite the lack of support and recognition they receive. “For their sake, and the sake of millions worldwide, it is time we changed that,” she said. Health Reporters report that the high-level forum also heard from a rich selection of government representatives, experts and organizations in the field of midwifery and global health including the United Nations Population’s Fund, Johnson and Johnson, the Bill and Melinda Gates Foundation, the Children’s Investment Fund Foundation, Global Affairs and many others.